Monthly look at what wallpaper I'm decorating my iPhone/iPad with. It's November and that brings reminders to be "thankful". Of course we all really need to remember to be thankful at all times, but thankfulness is definitely the theme for November. I turned to Pinterest to find what wallpaper I wanted to use for my devices this month. I used to be a big fan of CocoPPA but I have found that Pinterest has just as much and it's easier to get. 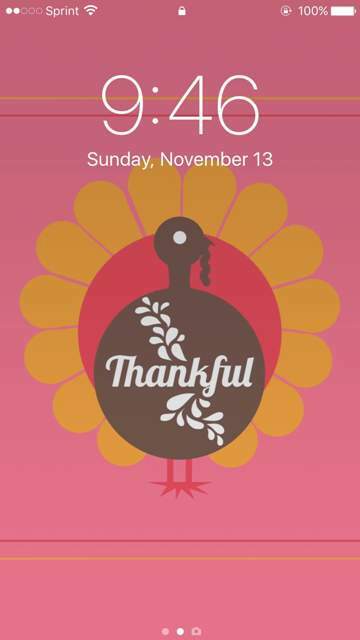 This month's lockscreen wallpaper has an adorable turkey and the colors are beautiful. I enjoyed the brighter pink paired with the fall colors in the graphic. 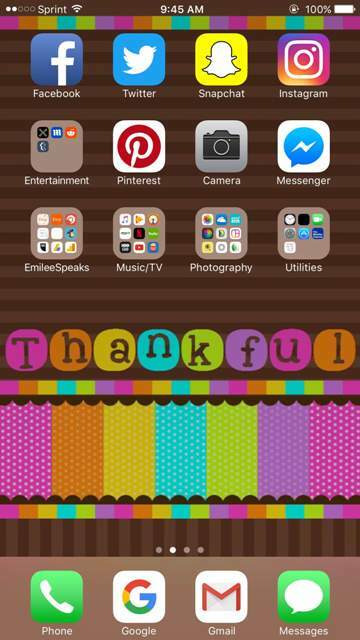 For my home screen wallpaper, I chose another reminder to be thankful. I loved the bright girly colors in this wallpaper. I always match up wallpaper across my devices so my iPad and iPhone both have these wallpapers. Usually I'll have links to where you can get these yourself, but unfortunately it looks like I didn't actually pin these wallpapers. I must've just clicked on them and downloaded them from their website. 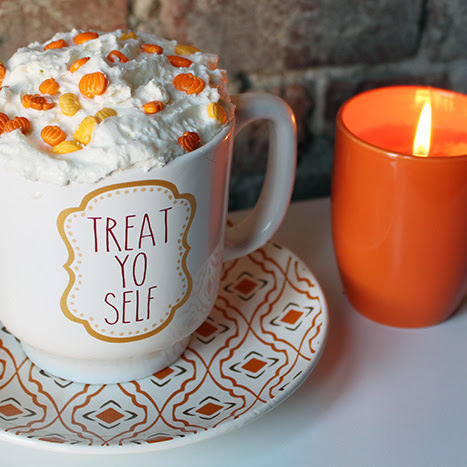 I did find them on Pinterest and probably searched "November wallpaper" or "Thanksgiving wallpaper". I highly recommend updating your wallpaper monthly. It's a quick easy way to refresh your devices and keep you in the spirit of whatever season or holiday is upcoming.